Amalgamated Property Group (APG) are leading a new development project, Civic Quarter, to be located on the old Northbourne square site bordered by Northbourne Avenue and Mort St. 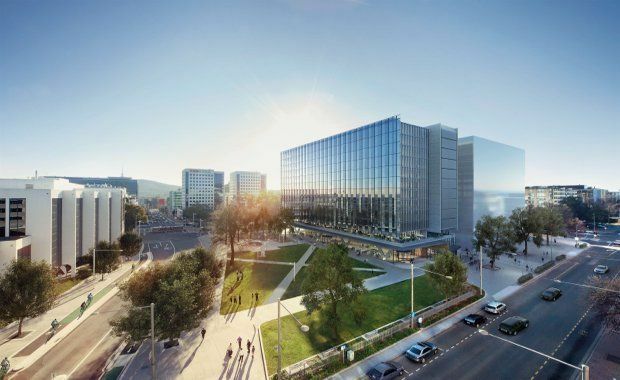 This project is the newest office for lease in Canberra, and the 12-level tower will “provide its occupiers the ability to create agile workplaces, where they are connected to the world with open architecture, encouraging productivity, and innovation” . Barmco Mana McMurray is taking up the role of commissioning and design review, and setting the building DNA for the client. Through our involvement, we are looking to provide the client with long term benefits. The new 18,000m2 building will have IoT technologies and high levels of integration of building services to the cloud. BMM is focused on building a user experience that has a symbiotic relationship between architecture and engineering. APG is an established commercial developer in the ACT, and BMM have worked with them previously on award-winning buildings such as the Louisa Lawson Department of Human Services building . We are proud to be a part of the team making new benchmarks in the ACT property sector!